In these days of social media and instant news, even the more respected pundits make rash judgments and generalizations about players, coaches, and games. Especially when there is controversy, a precedent, or a bandwagon to jump on. Bonucci leaving Juventus and coming to Milan was the controversy of the summer in Serie A. But it also created a magnifying glass-like effect on everything he has done since he made the switch. Meaning that whatever he would do, good or bad, would be magnified hundreds of times by pundits, the media, social media, and both Milan and Juve fans. Despite this explosive and unforgiving climate, today I wanted to offer a few words in defense of Leonardo Bonucci. Anyone who knows football knows that Bonucci is one of the top center backs in the world. Some say the best. And his talents were acknowledged once again as he was recently nominated on the list of 30 players for the Ballon d’Or award. I seriously doubt he’ll win or even make the shortlist, because defenders almost never win. But it provides some context for this conversation. Cut to Milan, and his earliest performances. His first appearance was subbing on for the 4-0 win over Bayern Munich. He was finally given the captain’s armband by Montella, and endorsed by Abbiati, the Team Manager, ahead of the Real Betis match. So hiis first start was the sweltering friendly vs. Real Betis in which we lost, VAR 2, Milan 1. He also started in the 6-0 Europa League home win over Shkëndija. Both of those matches were played with a back four, and the defense looked solid. 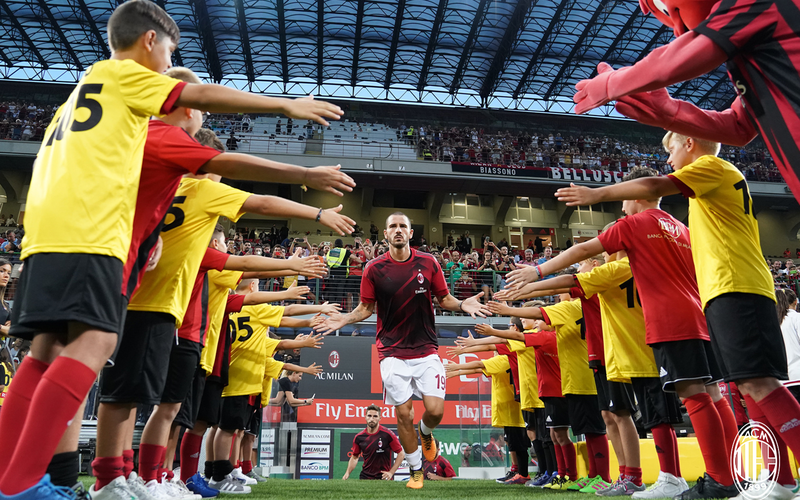 On the return leg, in Macedonia, Milan barely managed a 1-0 win, and Montella tried the 3-5-2. Romagnoli’s performance in that game was so bad, people forgot about the relatively solid defense we had seen in the four man back line, which was unrecognizable with the new formation. The whole team was a disaster and Montella wisely shelved that idea and went back to the 4-3-3. After the International Break, we faced Lazio away with the 4-3-3 and lost 4-1. 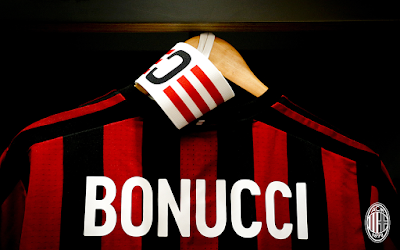 Certainly Bonucci had a poor performance, as did everyone in the team. In fact, it seemed like he was trying to cover for the other three defenders. Montella reacted by switching to the 3-5-2, and that is when the Bonucci witch hunt kicked into high gear. I’ve talked about this a bit in my posts, on the podcasts, and in the comment section. Montella’s version of the 3-5-2 is very attacking, which means that Milan play a very high line. There are only 3 defenders to cover basically the entire half. So if we’re caught on a counter, the midfield and wingbacks struggle to collapse fast enough, and the three defenders are left stranded to try to shut down all of that space on their own, which is, of course, impossible. A non-football example would be if you had an office of 10 people and laid off seven, then asked the remaining three to do the work of ten. That is what is happening in Montella’s system. That is the biggest reason we are having so many defensive errors. Arrigo Sacchi said the other day before the game that no one in Italy plays a back three, it’s always a back five. Which theoretically, should be correct. But Rodriguez doesn’t always get back and struggles to defend, and Conti has been replaced by Borini, who almost never gets back, and admitted that he is struggling with the defensive phase, because he still thinks he’s a striker. In the end, Bonucci is the single player left with the task of defending, usually singlehandedly. It’s not a back three or a back five, it’s a back one. And he gets all of the blame, too. But everyone wonders why a World Class defender is struggling so much with his form. Part of it is on him, I won’t deny it. Certainly he has made errors. But where the poor form really set in was when we switched to the 3-5-2. Even in the games where we played attacking football and looked great against teams like Austria Wien, the issues with the defense were there. Little to no support from the midfield, poor support from the wingbacks, and being left stranded to defend a lot of space with only a few bodies. 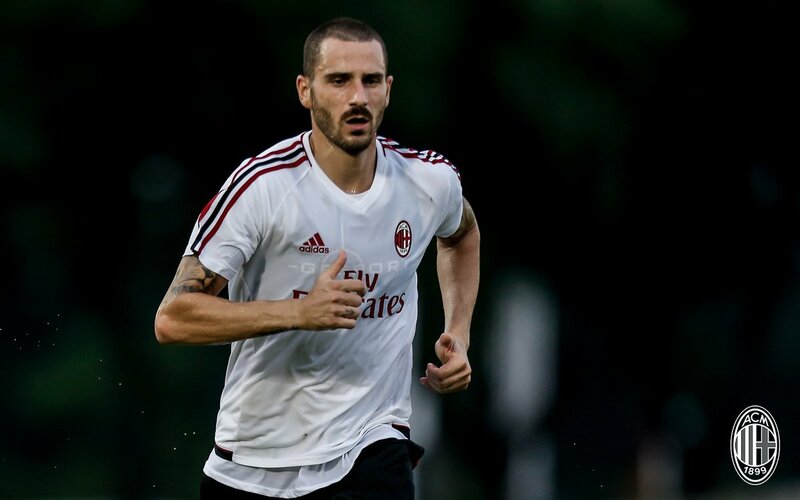 Not to mention that whatever people think of Bonucci’s form, his is still the best of all of our defenders. But the other defenders aren’t being over-scrutinized. From hero to scapegoat in just a few games...why? I’m sure there are contributing psychological factors, such as being at a new club and being given the weight of the armband while still learning Milan ways. But he has looked fierce in inspiring his teammates. Also, Montolivo. An inanimate object would be more inspirational than our last captain. But that’s not enough for the myopic and overly critical media and fans. They criticize every facial expression, blame him for every goal conceded even when it was not his fault, or even his man to mark. Blame him for the errors of the other defenders and things that happened behind him when he was in position. Scrutinize his social media posts (which are primarily from a service,) after lauding his hashtags and begging for a captain who would actually post like he does. They’ve clearly forgotten what it was like to have Montolivo on the pitch and as captain, too, only remembering that Bonucci came from a rival. But for me, it is the change in tactics, the new players around him that he’s got to build understandings with, and especially being left stranded by said tactics. All of our defenders had poor form as soon as we started playing the 3-5-2. Most of the criticisms I’ve heard and read about him are hyperfocused only on him to the point that the mistakes from other players aren’t even seen. And many blame him for mistakes that he didn’t even make, they just want to blame him because it’s easier than looking at the big picture. Or because everyone else is doing it, I don’t know. But why? Why tear down our most expensive, most experienced, and most qualified player? Why tear down the guy who, prior to the 3-5-2, was most people’s favorite signing, and their MVP of the defense? 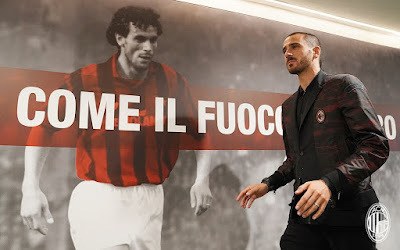 We finally got a proper captain after the brain-melting Montolivo years, and because a few people criticize our new captain, everyone follows suit? I don’t understand that behavior. And I don’t understand why no one sees or talks about his great stops and clearances in every game. This bizarre, fault-magnifying world has created monsters out of men and created alternate reality criticisms that would dissolve instantly with an ounce of objectivity. So go ahead, follow the crowd, ignore what is actually happening on the pitch, buy into the drama and controversy, and blame all of Milan’s problems on one of the players who is playing the hardest out there week in and week out. Or, you could watch the performances objectively, noticing the tactics, the positioning, the other players on the pitch and realize that our problems are much bigger than a single player. As for me, I’m going to stand in defense of Bonucci.